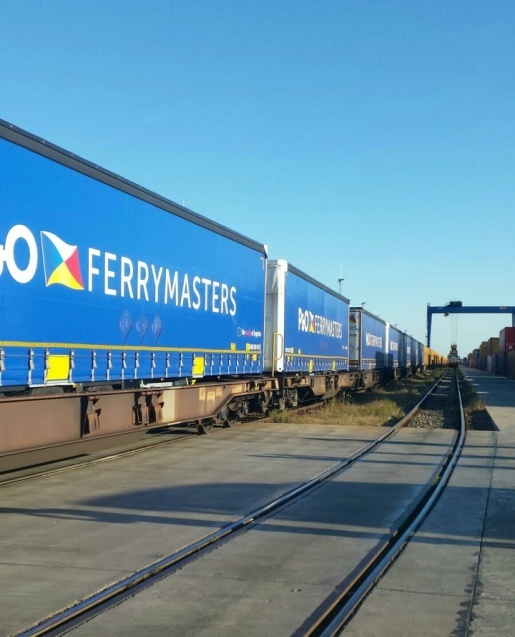 The European logistics specialist P&O Ferrymasters and the group Transmec organize new two-way intermodal shipments between Belgium and Romania. Three wholetrains pairs per week are intended. 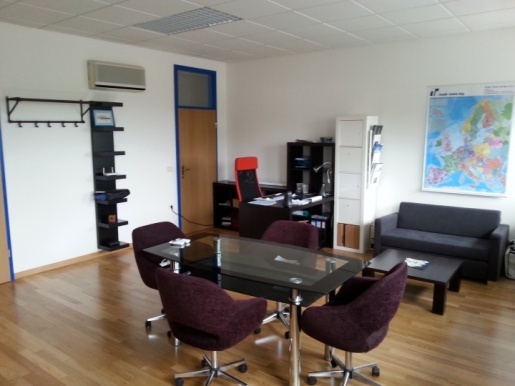 This service will start on 26 September 2014 from Zeebrugge in Belgium to Curtici in Romania and will provide a fast, inexpensive, environmentally friendly and flexible connection between Western Europe and the Balkans. 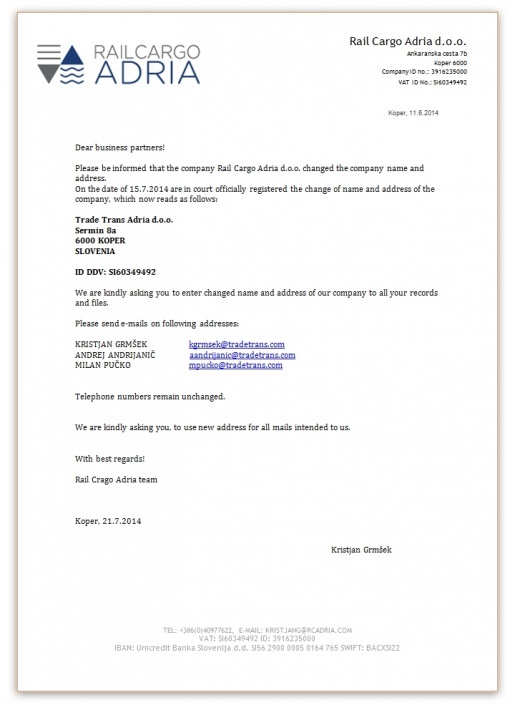 Working for a long time in the transportation market company in Koper, Rail Cargo Adria d.o.o, was recently renamed to Trade Trans Adriatic and got a new manager. 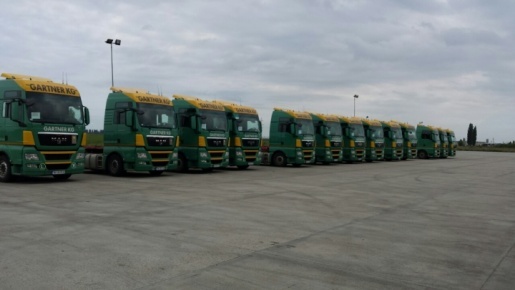 It now started quite strong with a big order for the rail transport services - see attached photos. 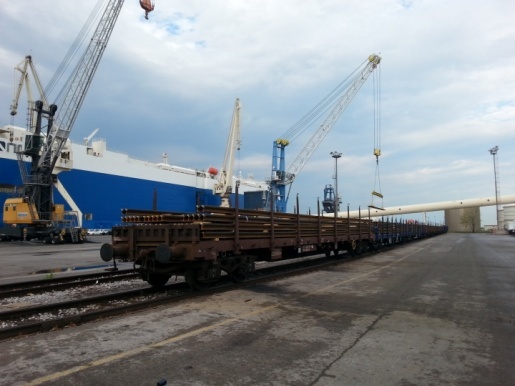 The rails are transported from Linz in Austria by train to the port of Koper. 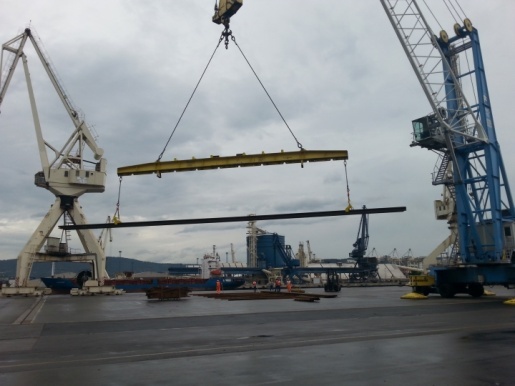 There, the further transport is organized by ships to Algiers from Trade Trans Adriatic. 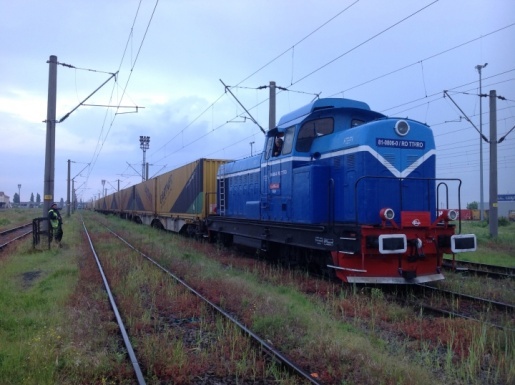 After long preparation recently in Bratislava have been registered Amber Rail, a.s. as subsidiary of Trade Trans Holding, a.s. and the GYSEV CARGO Zrt. 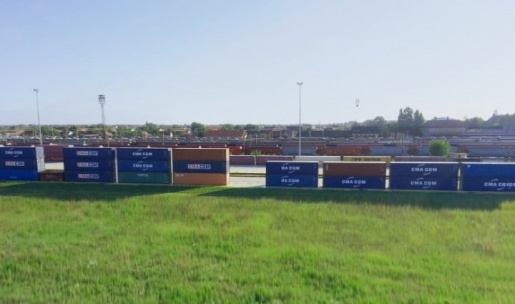 The company carries on block train complying activity primarily on the North-South railway freight corridor. 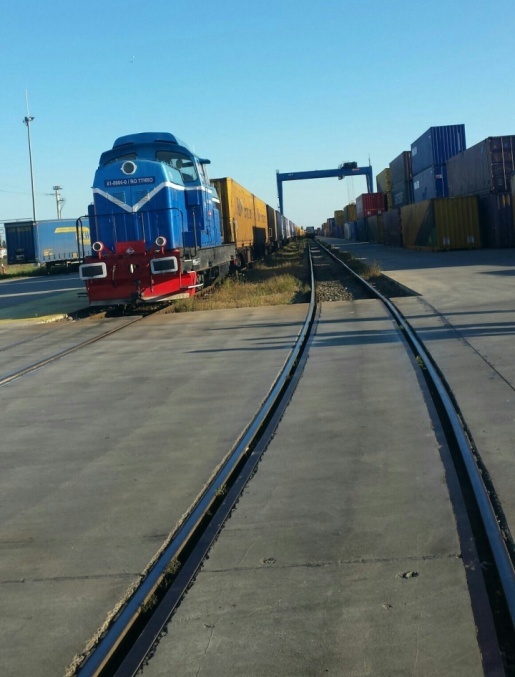 The parent companies are adding their best practices and merging the joint venture enterprise, Trade Trans from the field of freight forwarding, GYSEV CARGO from the field of railway freight transport. 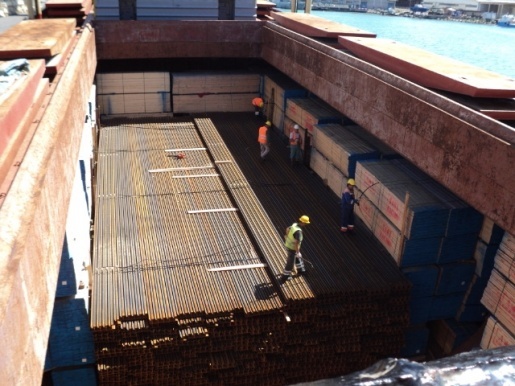 Cooperation between Trade Trans group and CARGO GESEV, planned for some time, has now started successfully. 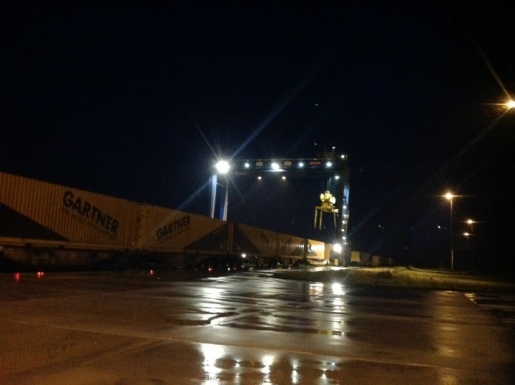 As a result of the joint offer two weekly block train pairs launched from Sopron to Curtici and vice versa with removable bodies of GARTNER KG from Lambach, Austria. Shipments will be delivered by truck from Curtici to the receiver or collected from the customer. 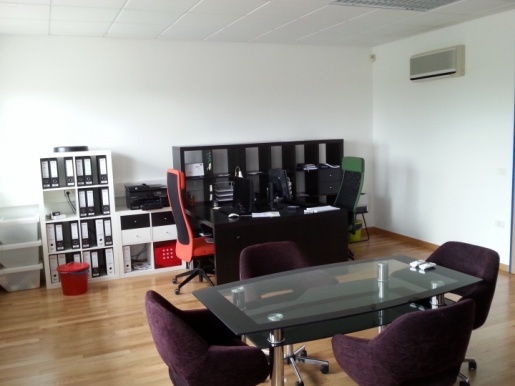 Gartner / Overland company has also hired eight employees in Curtici. In addition, 35 trucks were stationed. The terminal in Curtici works even at night if necessary, when it is an urgent transport. 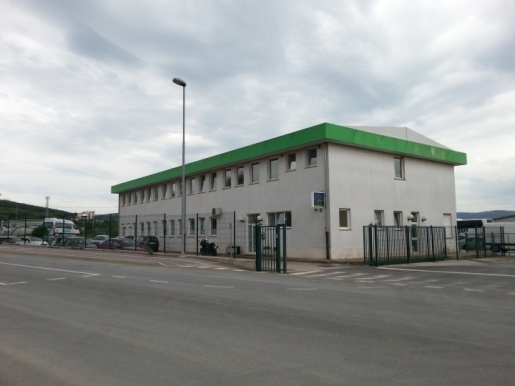 For a long time many customers have been showing interest in services of our intermodal terminal in Curtici. 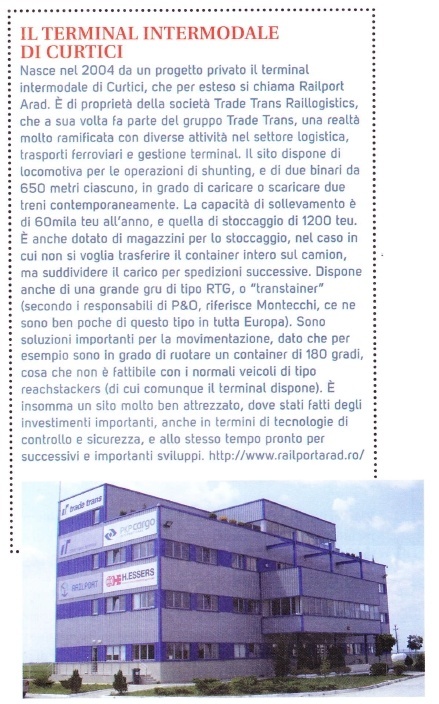 Below is an article published by Italian press as an example of such interest of Italian customers and freight forwarders. 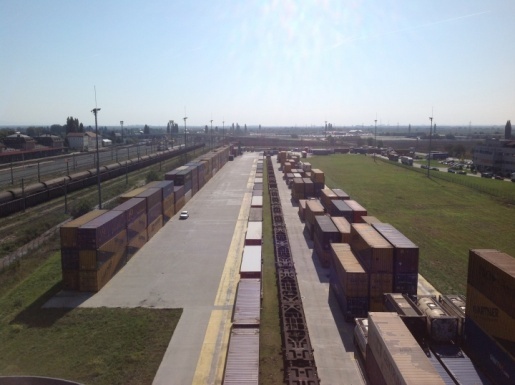 We will keep you informed about news of Rail Port Arad / Curtici. 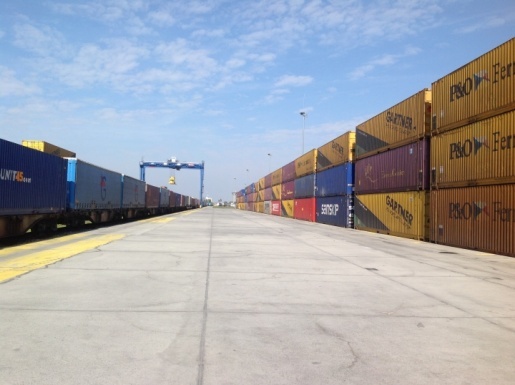 Last week Kalin Gracian, the president of the railway operator TRAIN HUNGARIA visited the Cargo Center Arad / Curtici. 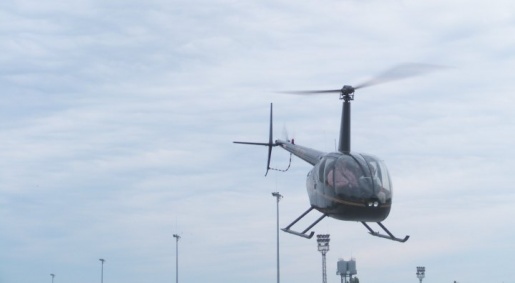 This time Railport also served as the airport, as guests arrived by helicopter. 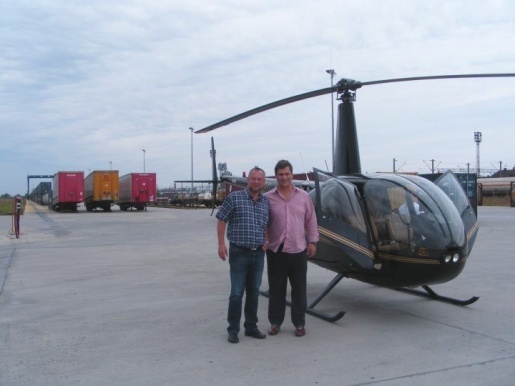 We have attached two photos of the flying Director of Railways along with the General Director Istvan Wagner (Railport Arad / Curtici).